If my business is being audited how can a Tax Attorney help me? 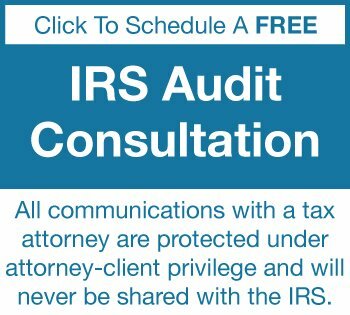 In the event that your business is being audited by the IRS you need a tax attorney in order to be an independent person that can make sure that all the books, and records, and documents are well organized, that you have all the documents necessary for the audit, and that you're well informed about all the potential problems, and you have a strategy as to how you're going to deal with each one of the potential problems. In the event that your business is audited you need a tax attorney in order to be aggressive representation to defend your rights. What you want to do is you like to position your CPA or your tax preparer as being a neutral witness that can come in and testify that you've done everything right, that you've complied with the terms of the rules and regulations, the code, and that you're doing everything proper. That way you can use your accountant to your best ability. Your tax attorney is going to be your advocate. That's the person that's going to argue to the IRS why you're entitled to all the deductions, why the additional under reported income wasn't income. That's why you need a special tax attorney. A tax attorney will also organize all your documents, make sure that they're in a logical order, make sure that you have all the books and records, and be well prepared about any potential questions the IRS could ask during an IRS audit. We'll also go through your books and records and put together a complete tax strategy to make sure that we know any potential problem, and we resolved each one of those well before the audit begins. Why is my business being audited by the IRS? Generally, the IRS selects businesses for audit based on their market segment specialization program. That's generally auditing businesses by industry, so there's certain industries the IRS is actively pursuing, one of which is general construction, general contractor, anything in that industry. Second thing is retail business, and a third one in restaurants. Those are the ones the IRS is looking at right now. They're looking at for income tax audits, they're looking for payroll tax audits, they're looking for a failure to file 1099s. Those tend to be popular right at this time. The second part of the market segment specialization program, is they're also going after individuals with licenses. Engineers, architects, CPAs, those type of people. That's generally who the IRS is auditing right now. That changes over time. In the event that you're audited or in the event that you fear that you might be audited, please give me a call. I'm more than happy to talk to you about your case. Anything that you tell me is all protected by the attorney client privilege, and the attorney work product privilege. What red flags could increase the chances my business is audited by the IRS? The IRS selects businesses to audit based on the discriminant function score, her industry. It depends on how you report your income and expense and they compare that to the industry average. If you are a substantially under reported income or over reported in deductions, that's going to give you a high discriminant function score. You're more likely to get audited. The best way that you could really turn on that is go to a competent CPA or a tax attorney that prepares your tax returns and gives you a general idea about are you in line with other people in the same or similar profession? Another red flag is the IRS takes a look at 1099s or some contractor expense. If your sub contractor expense tends to be large compared to other expenses and tends to be large compared to your gross income, you're more likely to be audited. It has to do with a discriminant function score once again. The sub contractors is generally one thing that the IRS is really going into at this point and really auditing a lot of those returns. Failure to file 1099s, failure to file failure to furnish, all those type of issues. The last big red flag is in the event your reported income, your net reported income is lower than the industry standard based upon the market segment specialization program. In the event that you feel like you're about to be audited or you don't believe that you are within the same income and expenses as other people in your same or similar profession, please give me a call. I'm more than happy to talk to you about it and discuss your case. Everything that you say is going to be protected by the attorney-client privilege and the attorney work-product privileges. If your tax return has been selected for a field audit, then it will generally take place at your home or place of business because that is where the books and records are kept. If you prefer to conduct the audit at an IRS audit, you can submit a request but it may not be granted. You don't really want to have your audit being conducted at the IRS office. The IRS has a lot of information and other individuals there that in the event that it goes bad the audit could go bad really fast. The best place to hold the audit is not in your office. In your own office or your own workplace the IRS has the right to look at any papers, or talk to anybody that you happen to have I your possession. The worst place you could have an audit is at your own location. The best place that you could hold an audit is at your tax attorney's office, because everything is controlled, you don't have other potential witnesses there, you don't have any other documents that may be sitting up that a revenue agent can look at, and in the event that the revenue agent requests additional documents that you didn't want to provide to them they're not available at the tax attorney's office, they're only available at your office and you're not there. That will have to be provided at a later time if it is provided. What is the process for an IRS business audit? The process that the IRS uses in order to audit a business is different than an individual. What they generally do is they know that the businesses generally have a QuickBooks or accounting program that's already set up. You should have all of your income and expenses already input into a QuickBooks accounting program, so you know what your income and expenses are. What they like to do in business audits is they like to contact the CPA. They like to contact the tax preparer, or the enrolled agent, get a copy of those business records, compare those financial statements to the tax return, see if there are any differences, and then go into detail and take a look at the individual's bank statements, cancelled checks, credit card statements, all those. Then show that they're trying to under report things to your CPA so that you are, specifically, intending them not to be included on the income tax return. That's a real problem. It's important that you make sure that you know about any potential problem before the audit even begins. 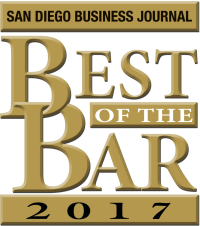 This tax law firm will take a look at your books and records, interview your CPA or tax return preparer, and make sure that all those issues are resolved well before the audit begins. The do's and don'ts if your business is being audited by the IRS? The most important thing if your business is being audited by the IRS is to be well-prepared. That's have all your books and records in a logical format, well-organized and you're familiar or your representative is familiar enough with your case so they can answer all the questions at the initial interview. Things go smoother that way. What you don't want to do is not have the audit at your own place of business. If you have the audit at your own place of business, the IRS has the right to interview any of the workers that's there, including disgruntled employees, and has the right to obtain any books and records that you may happen to have that readily available at your business. You want to have your audit at your tax attorney's office because only the documents that you want to provide to the IRS will be available and will be well-prepared for the audit. How to prepare for an IRS business audit appointment? The most important thing in preparing your business for an audit appointment is to prepare well in advance. You really want to make a good presentation to the auditor from the beginning. A good presentation is the books and records are organized in a logical format and all of the potential issues have been discussed with your tax attorney well in advance. Any potential issue, the tax attorney needs to know what documents tend to support it, what are the factors for and factors against, so that that way we can put together a good presentation when that fact does happen to come up in an audit. Preparation is key in audit. In the event that you get selected for an audit, please contact me. I'm more than happy to talk to you about the case. We'll talk about what books and records currently exist, what additional books and records we need to prepare for the audit, we'll talk about the auditor themselves in case I happen to know that person, and we'll talk about the process of the audit that we need to go through. 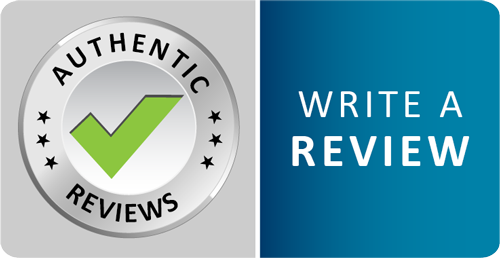 What documentation can the IRS request during a business audit? In a business audit, the IRS generally requests all the financial records that you provided to the CPA. Then they'll either summons or request the information directly from your CPA, enrolled agent, or tax preparer, and then compare the two, see if there's any differences. You need to know if there's problems well before the audit begins so you know how to handle them at that point. This tax law firm is very aggressive in representing businesses in audits. We make sure that we deal with all of those potential problems well before the audit begins. How long does my business need to keep receipts and records in case of an IRS auditt? As a general rule, records related to an asset should be kept as long as you intend to keep the asset, plus an additional three years. This means that if you dispose of a piece of property in a taxable disposition, you should keep the records related to the asset until the statute of limitations expires. The records related to the property should also be used to calculate depreciation, amortization, or depletion deduction, or calculate gain and loss. If you exchange the asset for another asset, the tax basis in the new asset may be calculated according to the original asset. For this reason, you must keep the records related to the original asset until three years after you dispose of the new asset. A business generally needs to keep books and records for seven years. The reason for the seven years is that the IRS has a three-year statute of limitations that they can audit your business at any time within three years of the date that you filed the tax return. That three years goes to six years in the event that you understate income by 25%, or you have a foreign bank account and you have under reported income from the foreign bank account of over $5,000, then it goes to six years. Plus, you have one extra year because in any calendar year the tax return isn't due until April 15th or October 15th in the following calendar year. Therefore, you have your seven years that you have to keep your books and records. The books and records that you should keep are going to be all your financial statements, income statement, balance sheet, general ledger, as well as bank statements, cancelled checks, credit card statements, the QuickBooks or accounting type program in an electronic format if you can. Those are the type of records that you want to keep. How Long Should Payroll Records be Kept? Payroll records should be kept for six years. As with any other records, you should generally keep the records that support an item of income or deductions on a tax return until the statute of limitations has run on that tax return. In the case of payroll records, you should check whether any of the records pertain to current employees, and if so, those records should be maintained with current records. For more information, read this page about Payroll Taxes. What Is The Statute Of Limitations On An Audit? The IRS can audit individual, corporate and partnership tax returns for three years from the due date or actual filing date. This three-year statute of limitations can be expanded to six years if you understate income by 25%, or have a $5000 understatement of tax as a result of a foreign bank account. These statute of limitations can be extended by mutual agreement, or by the IRS issuing a Notice of Deficiency within the statute of limitations. For more information, read this article about the statute of limitations for an IRS audit. On an individual income tax audit, the statute of limitations is three years from the due date of the income tax return. Remember, the due date of the income tax return is April 15th or extended until October 15th if you extend the time of filing. Now, the three-year statute of limitation can be expanded to six years if you understate income by 25% or if you have a foreign bank account and under report at least $5000 of income from a foreign bank account. Then, the statute of limitation goes to six years. In the event that you get into civil fraud, there is no statute of limitation and the IRS could go back to 1913. What if my business is not ready for a scheduled audit appointment? If your business is not ready for the scheduled audit appointment, it's more important to postpone the audit appointment to a later time. Even though that's not a good fact, it's better than walking in unprepared. A worst case scenario is going unprepared, think you're going to wing it, go in, answer questions that you are not prepared for until you get there and then you look nervous. You look bad in front of the revenue agent, and then all of a sudden things go really bad at this point. If you're not prepared for the tax audit, reschedule the audit. 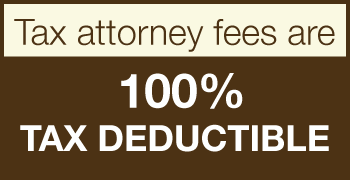 Come to a tax attorney, meet with them. We'll figure out what the issues are, what the potential problems are. We'll organize the books and records in a logical format and put together a good presentation and then reschedule the audit appointment. Can my business appeal the findings of an IRS audit? In the event that the IRS audits you and you have somebody that's less competent helping you with the audit or you're doing it yourself, and the amount that you owe on form 4549 Income Tax Examination Changes exceeds your ability to pay, please call me. I'm more than happy to talk to you about the case. We'll have to restrategize at that point. We'll figure out what issues there are on each one of the items. We'll discuss it, put together a strategy on how best to proceed. Then you do have the right in order to appeal it. Generally speaking, the IRS will issue a 30-day letter that gives you 30 days in order to provide additional information and documentation in order to support your case. If you miss the 30-day letter, the IRS will issue a notice of deficiency that you have 90 days to appeal to the US Tax Court in order to resolve the issue at the IRS appeals level and through area counsel level. What Are My Rights During an IRS Audit? What Does the IRS Consider as Income?